Here at Interloft we tailor our conversions to your personal specifications and, as such, provide a completely comprehensive planning and design service. We work closely with you during the entire process, ensuring that we have a thorough understanding of your needs, tastes and budget, and then plan a conversion accordingly. A loft conversion can significantly enhance your home, increasing its value and creating an additional living space. We have a wealth of experience when it comes to transforming unused lofts into beautiful, highly functional living areas, and design them all according to your bespoke requirements. Whether you want a nursery or extra bedroom for a growing family, an office so you can work from home or a luxury bathroom to relax in, our loft conversion design is unique to every client. 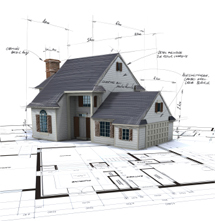 Our loft conversion planning service includes the obtainment of all necessary planning permissions and, upon completion, you will receive a building regulations certificate so you can rest assured that the conversion has complied with all legal obligations. So why not give the professionals at Interloft a call today for more information?